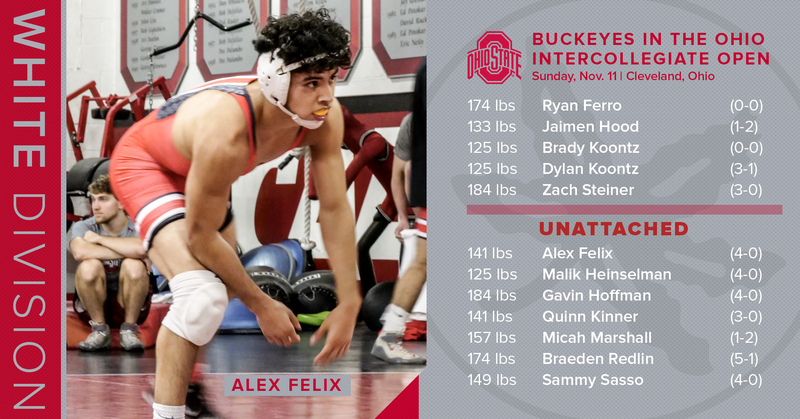 Twenty-eight members of the Ohio State wrestling squad will cruise up I-71 this weekend to compete in the Ohio Intercollegiate Open, hosted Sunday by Case Western Reserve University at the Veale Center in Cleveland. Ohio State has an off weekend in its dual-meet schedule, as two of its starters prepare for the Under-23 World Freestyle Championships in Bucharest, Romania. Myles Martin and Kollin Moore will represent Team USA as part of the world team, and will miss next weekend's West Coast swing to California Baptist and Arizona State. 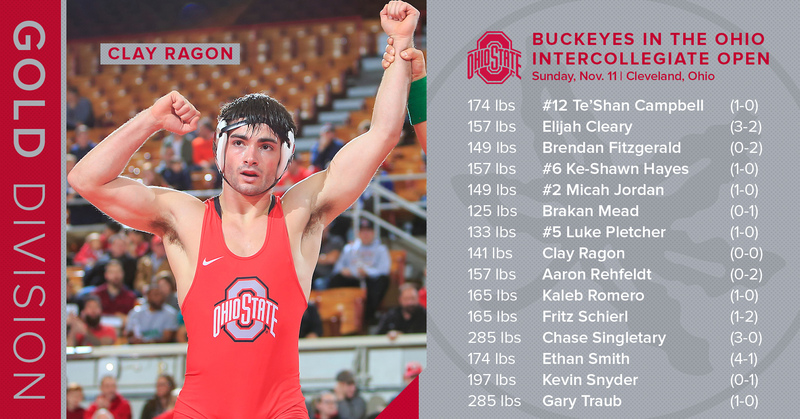 The Buckeyes will compete alongside nine other Ohio wrestling programs with 21 teams from across the region competing, including Big Ten foe Michigan State. No team scores will be recorded, but the tournament provides another opportunity for some of the younger members of the squad to sharpen their skills against other collegiate competitors. The tournament features two divisions, with the Gold Division representing the higher level of competition. Hunter Lucas will also compete in the Gold Division at 125 lbs. as an unattached wrestler. NCAA rules allow young wrestlers such as Felix, Heinselman, Hoffman and Sasso to compete in as many open tournaments as they like, so long as they are "unattached," and not contributing to a team score or wrestling officially under the team's banner. Ohio State head coach Tom Ryan will use such tournaments as another "data point" to evaluate potential starter Malik Heinselman before pulling his redshirt. He will also be watching heavyweight Chase Singletary, a former No. 1 prospect who lost a narrow battle to Gary Traub in the team wrestle-offs. Matches and results will be available via TrackWrestling. The tournament is expected to start at 9 a.m., with the finals tentatively slated for 4:30 p.m.